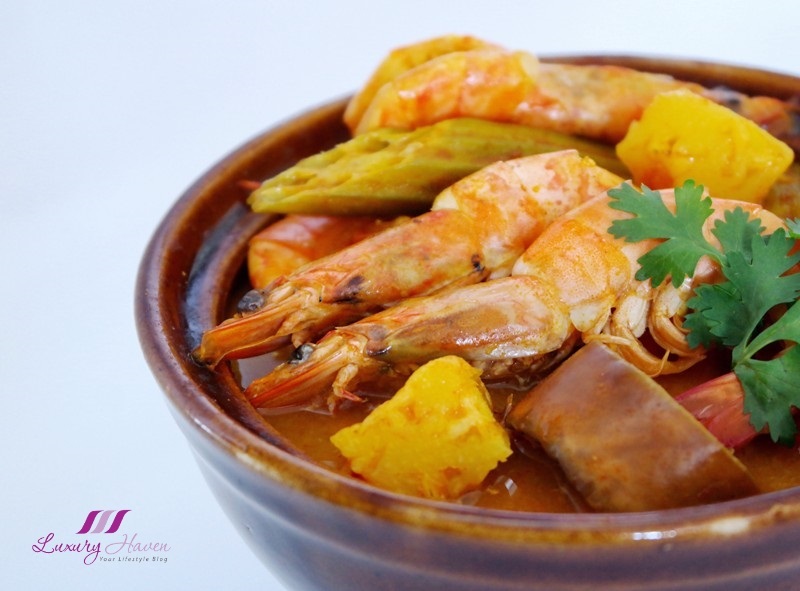 Tamarind Prawn or Assam Prawn ( 亚参虾 ) is a spicy, sourish and extremely appetizing dish in the Asian Cuisine. 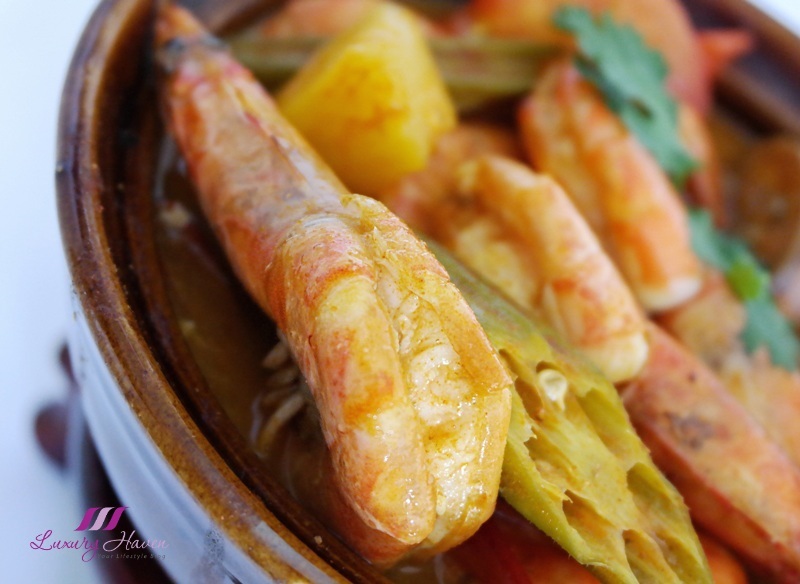 This mouth-watering Nyonya Assam Pedas dish is usually prepared using either Prawns or Fish, and adding fruits and vegetables such as Pineapple, Tomatoes, Brinjal ( Eggplant ) and Lady's Fingers. 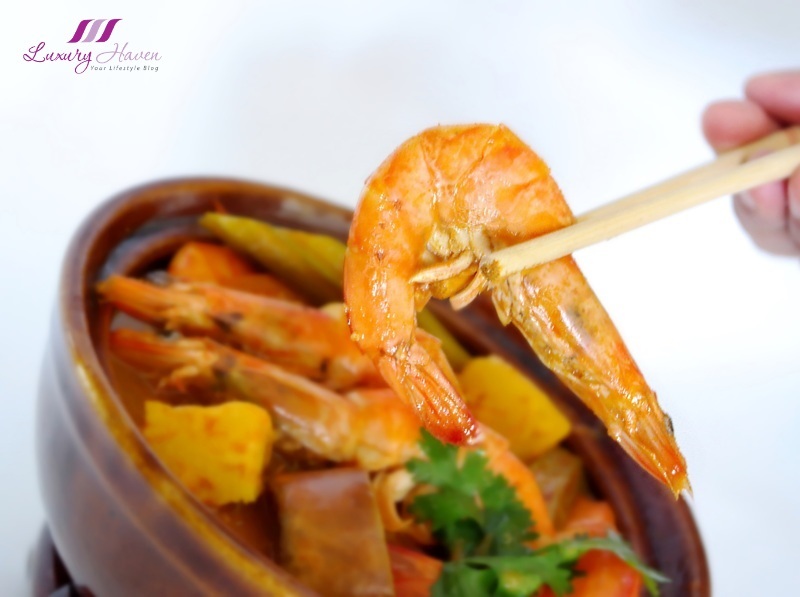 Accentuate the flavours by cooking the Assam Prawns in a claypot, and let the ingredients slowly coaxed to perfection in this Peranakan dish. 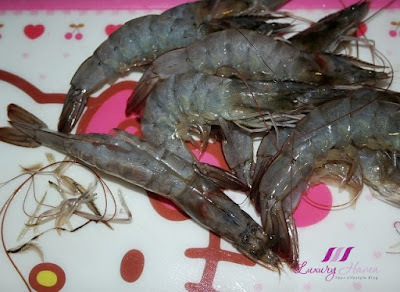 Following my First Shopping Experience with PurelyFresh, I went on to shop for seafood this time amongst other stuff and got my family some nice prawns. I also ordered Yong Tau Foo from #PurelyFresh, whipping up a fuss-free Sambal Yong Tau Foo one afternoon, a favourite quick meal whenever I am in a lazy mood. It is really easy to cook actually. Simply pan-fry the ingredients, then add your favourite chilli paste and stock to stir fry and you are done! With the prawns I got, I used half to cook the Mini Claypot Nyonya Assam Prawns for dinner since there are only three of us in the family. 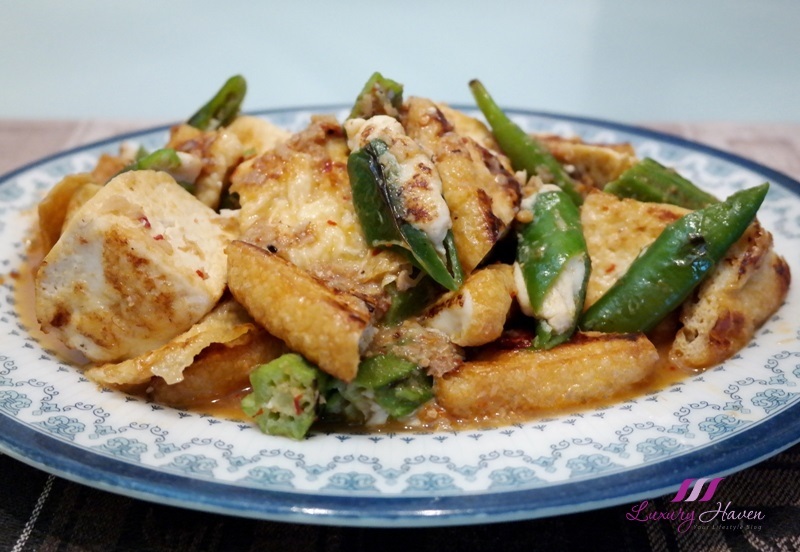 The dish was made easy by using the Mak Nyonya Instant Asam Fish Sauce I found in the supermarket. 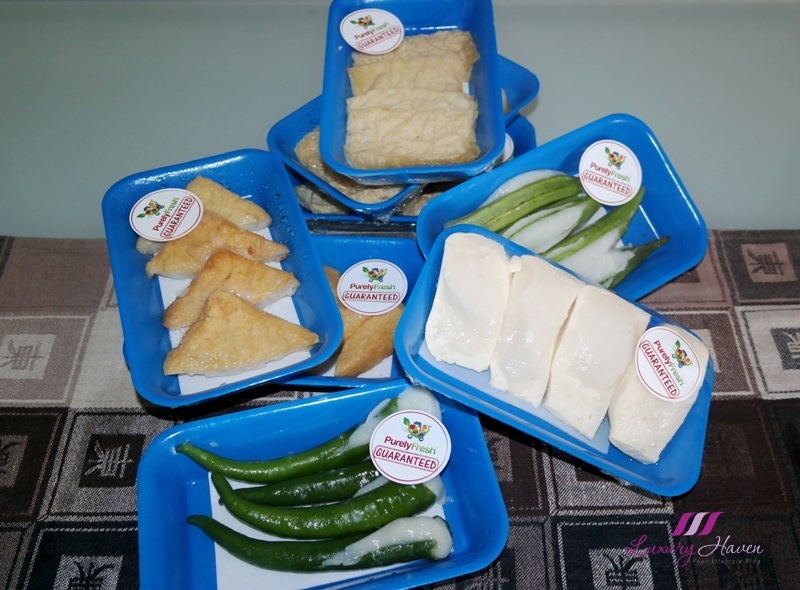 With the ready-made paste, the tasty meal was up in just minutes! Yummy Cheesy Garlic Bread Recipe! 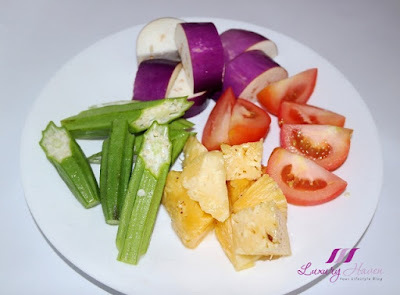 Cut up vegetables and fruits. Heat oil and pan fry the brinjal till slightly soft. Remove. Stir fry fruits and vegetables with assam paste in claypot for couple of minutes. Add water and mix well. Cover pot and simmer till veggies turn soft. Meanwhile, prepare prawns for cooking. Cut off whiskers and devein, then butterfly prawns. 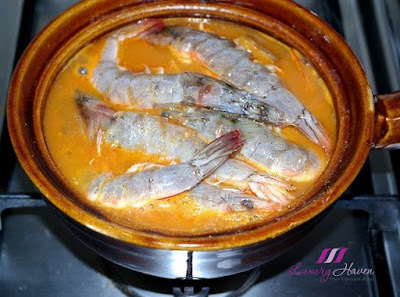 Throw prawns into claypot and cook till shellfish turn pink. 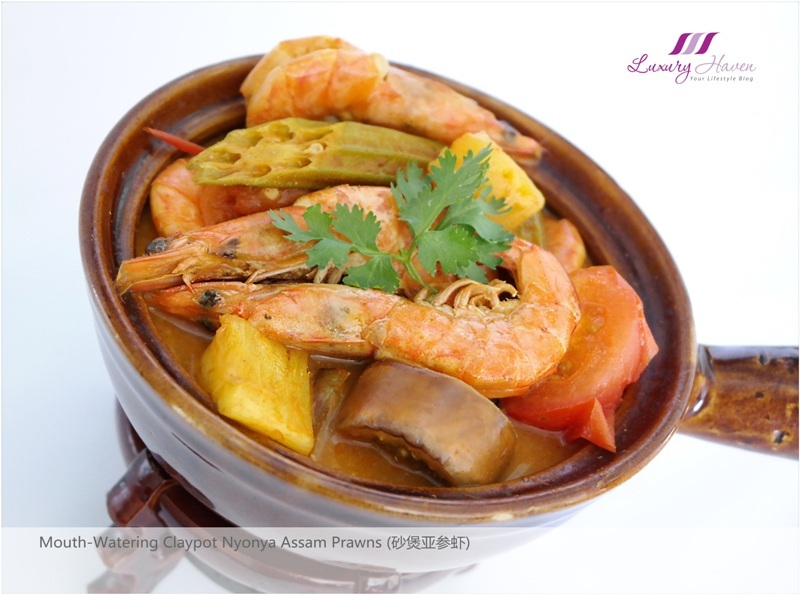 Serve hot and enjoy your appetizing Mini Claypot Nyonya Assam Prawns! 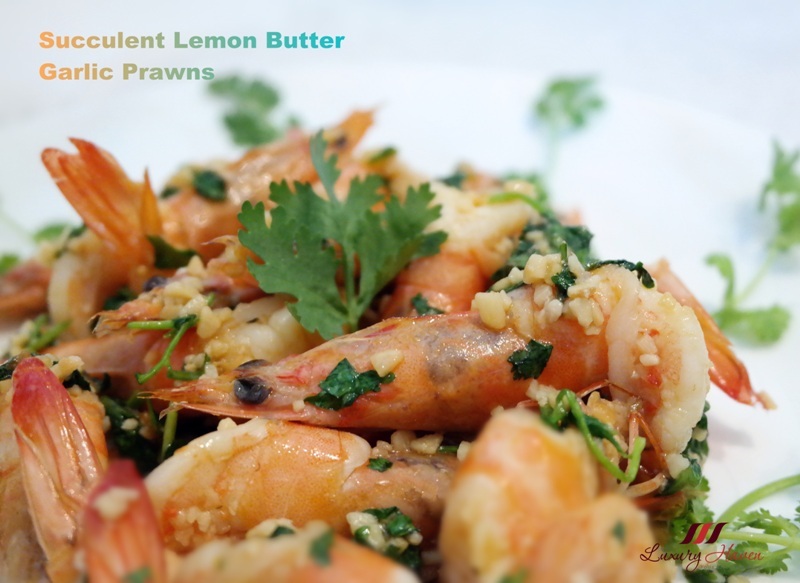 Check out what I did to the other half of my prawns at Lemon Butter Garlic Prawns, Fresh Seafood From PurelyFresh! This is delicious! 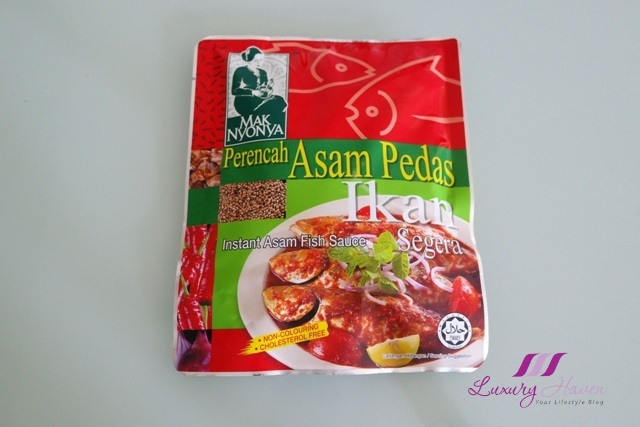 I love assam pedas flavour. 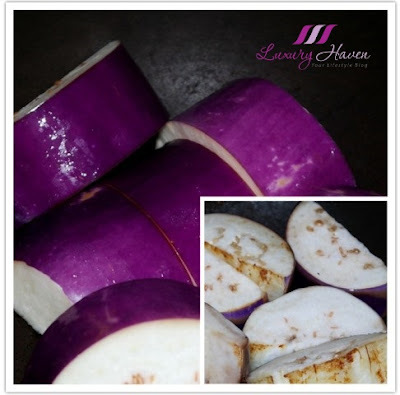 So appetizing and great to go with white rice. Shirley not you got me very hungry with this delicious post. Yumm.. 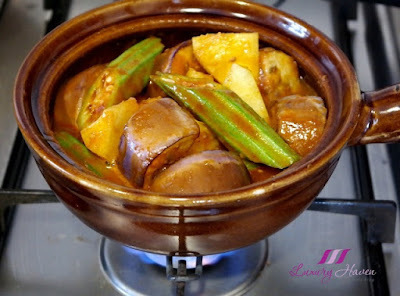 This claypot recipe is something similar to what we call here in the Philippines the "sinigang" or sour soup.. the recipes are same except adding fruits.. Well, maybe I should try to add some fruits when I cook so I could taste how this claypot recipe taste like. Thanks for sharing, Shirley! Omg Shirley:). I can easily eat this delicious menu in one minute lol. Yummmm. This dish sounds great! I would love to give it a try...it looks so yummy. I really love soury food. Your Assam fish is best go with rice..
Asian food is my most favourite because I am Asian! This post makes me hungry though! yuuuum,seens so delicious,love it,amazing post,xoxo. It look realy like a great dish. Claypot was one of my favourite foods when I lived in Singapore many years ago. Goodness!!! Drooling, My kind of food all the way. I don't like seafood but I do love food cooked in clay pots. There's something delicious about them! I want to try, this, Shirley, everything look so delicious! 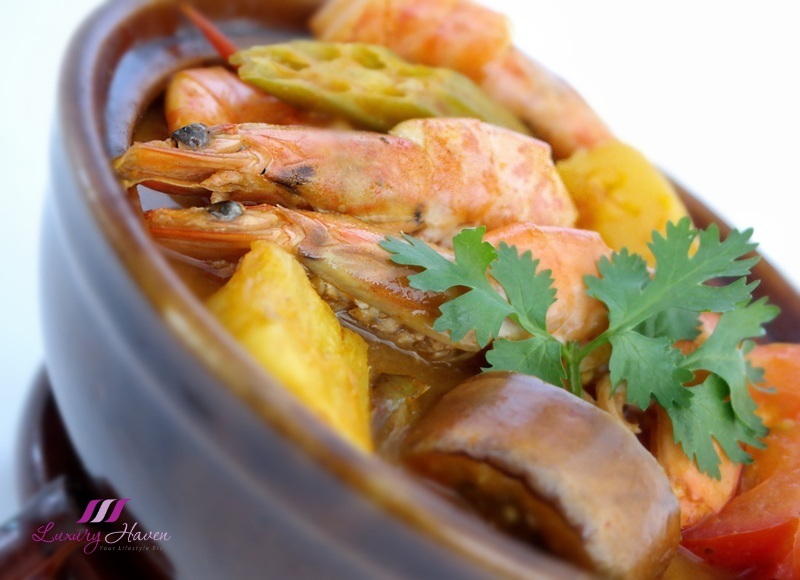 The Assam prawns looked so appetizing and delicious. You made this cooking sounds so easy and quick! Shirley it looks so delicious. You always make my mouth watering with your yummy pics. Oh wow that looks great! My mom and grandmother both love assam dishes and so do I! I particularly like mine in thin soups with lady fingers, pineapples and so on! I totally am going to check out Purely Fresh, I'm not sure if my mom would prefer online shopping for groceries but I'm going to show her! 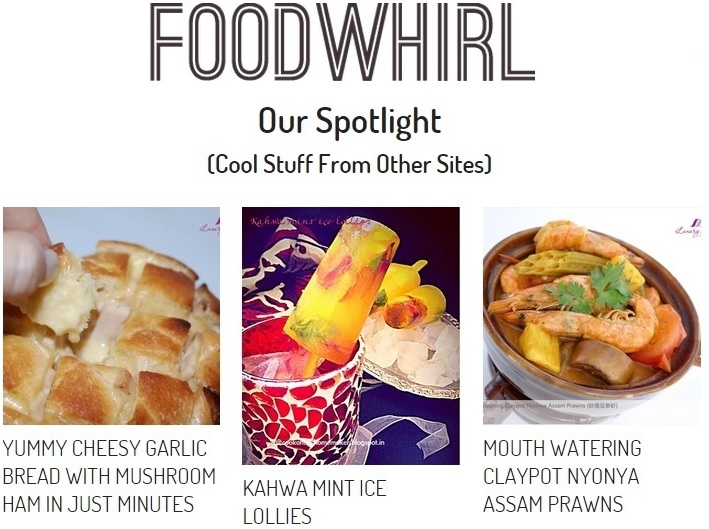 The prawns look delicious - and such a colorful presentation! Asian cuisine is still a great mystery to me. I want to try everything, Happy Friday!! Haha! Following your recommendation, I have bought some prawns to try too. And I thought your prawns are pretty huge but when I received mine today, it's even bigger! Thanks to Purelyfresh, I have never gotten such big prawn with the price that I paid.....I really love it.....PURELYFRESH! My favourite assam pedas. Owh!!! 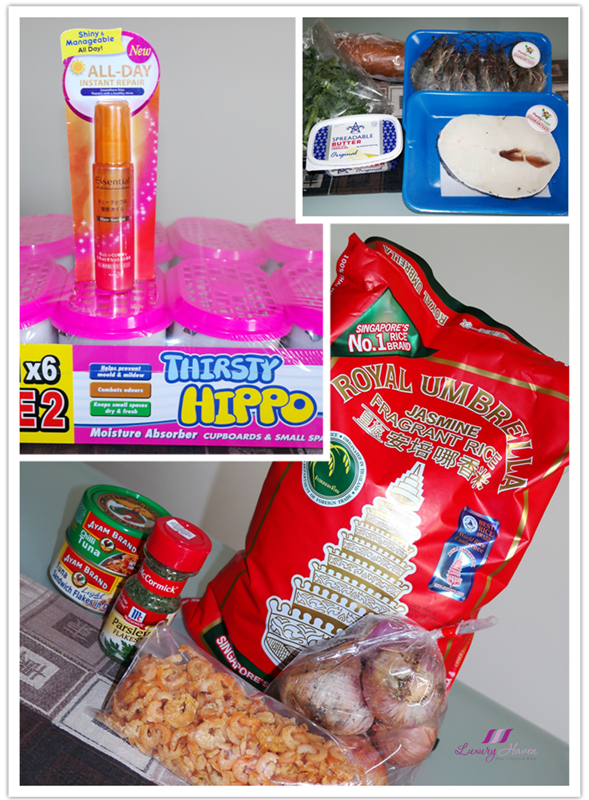 so easy shop with them ya...nowadays everything so convenient. Wow that looks really delicious! So appetizing !! This is good..one of my all time fav of course with prawns.